With the first trailer for Jose Padilha’s 2014 RoboCop remake being released, Movie Melt wants to reveal our top 10 robot movies of all time. You should note that we haven’t included a lot of movies that could arguably be on the list, such as Star Wars or Blade Runner. The films on this list have a plot that revolves almost completely around robots or the idea of robots. Oh and you can check out the new trailer for RoboCop below this list! Many people might be angry at me for including it, but the Transformers franchise does belong on this list. The first film had some charm to it and was pretty impressive really, with some great humor and massive, special effects filled action. The sequel was pretty horrific but the last installment was a little better. 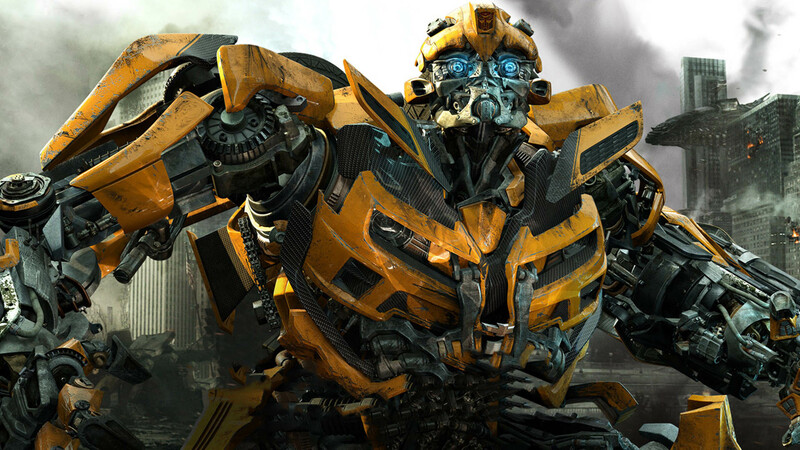 Hopefully Mark Wahlberg’s first effort, Age of Extinction, is an improvement. Will Smith’s robot blockbuster was perhaps a tiny bit disappointing, but it was certainly no flop. It featured, then groundbreaking effects and Will Smith’s usual charismatic performance as a cop investigating a murder that may have been committed by a machine which was thought to be incapable of harming humans. Some slick twists and good action make this a good robot movie. The most recent film on this list, Guillermo del Toro’s action packed, earth invasion film was a surprise hit. Pitting humans and their massive robotic battle suits against a horde of giant monstorous invaders, the film is not exactly a brain teaser, but it did what it set out to do in fantastic fashion. If you got to see this one in the theater you were in for one hell of a visual treat. An older, and perhaps lesser known film among our younger readers, Short Circuit is about an escaped military robot who is befriended by a young girl and goes on the run from the military, who are seeking to find and destroy him. A charming and often hilarious film, this is a family favorite that children are sure to love. Perhaps a little dated, I loved it as a kid and would like to think that today’s kids might feel the same way. As I mentioned above, the trailer for the 2014 RoboCop remake has been released, but the original film was not too shabby either. Revolving around a cop who is brutally murdered, but revived in half human, half robot form, the film is an uber-violent but often hilarious action movie that set the bar for similar films. Although the sequels were pretty horrible, the original RoboCop is an all time classic in the genre. Our first animated film on the list, The Iron Giant is a heartwarming Warner Bros animated film about a young boy with big dreams, who makes friends with an amiable giant robot (who happens to be voiced by Vin Diesel – who knew?). This is a film that kids will absolutely love, but that adults can enjoy as well. It is often hilarious, but equally meaningful and poignant. From heartwarming children’s animation, to one of the most chilling films I’ve ever seen. Westworld is a futuristic ‘theme park’ where the owners use robots to put guests in fantasy situations that they could never visit in real life. Our stars decide they want to live in the Wild West for a period of time, until a brutal accident reveals that the robots may not be as perfect as once seemed. Yul Brynner turns in a cold and chilling performance as the ‘Gunslinger’ which is one of the most iconic roles in history. The oldest film on the list, released in 1927, Metropolis was Fritz Lang’s silent masterpiece, considered to be the first feature length science fiction film ever made. Portraying a dystopian future where social classes are defined in a brutally obvious way. The film was groundbreaking at the time and is a masterclass in classic film-making that any student should be sure not to miss. Easily one of the greatest animated films of all time, Wall-E is about a trash collecting robot who has been lonely for hundreds of years, but finally finds a friend in another robot, named EVE. Their adventure and friendship is one that could eventually save a long uninhabited planet earth, and is also one of the most entertaining and warm pieces of movie making to ever hit our screens. Wall-E doesn’t need to speak for us to fall in love with him and much of this is down to the genius of Disney Pixar’s animation. My selection for the number one robot movie of all time is actually a collection of movies, that being the Terminator franchise. I am specifically referring to the first two films, both starring Arnold Schwarzenegger as the T-800 robot who is initially sent to doom earth and later sent to save it. The first film was horrifying, and James Cameron arguably outdid himself with the more action packed sequel. The next two sequels, although not as good, were certainly by no means horrible, making this the best robot movie collection of all time. Buy Insidious 2 tickets today!